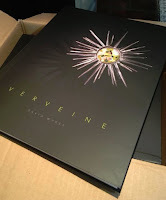 Dave Wykes Chef/Patron at Verveine Fishmarket Restaurant in Milford on Sea village has won the prestigious accolade of appearing in Harden’s Best 100 UK Restaurant 2019. 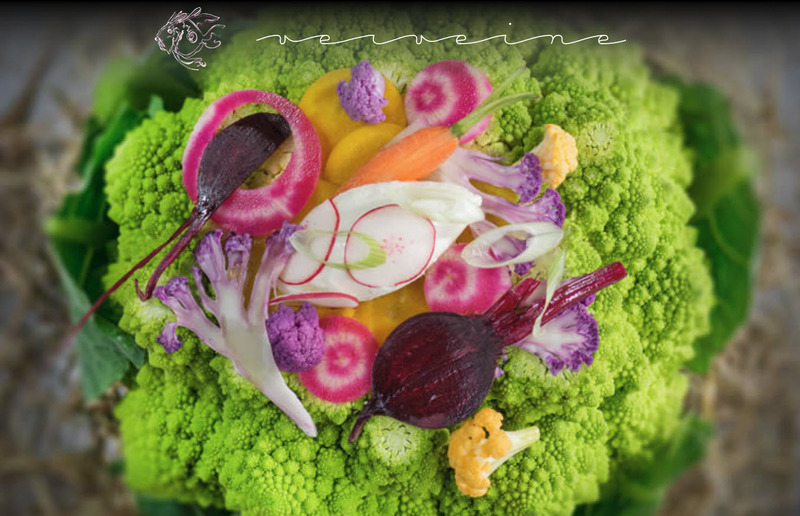 The Harden's Restaurant Guide sits alongside the Michelin Guide when it comes to restaurant reviews. Congratulations Dave, the recognition is really well deserved! 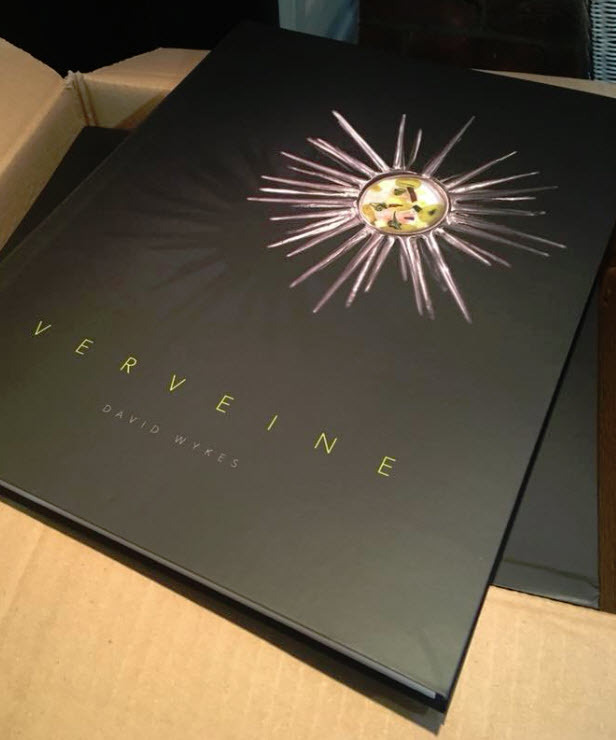 Dave has also launched his own cook book entitled 'Verveine'. It would also make a great Christmas Present! 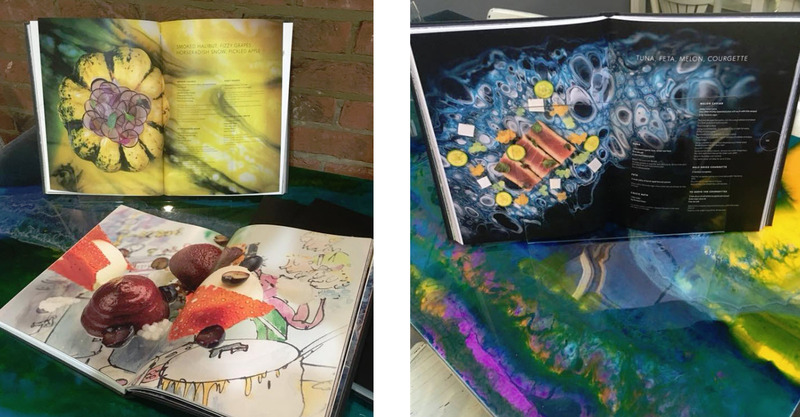 Dave can deliver the book anywhere in the UK for a total price of £40. Just give them a call to order your copy today on 01590 642176. The Granary Kitchen have launched their new 2019 Cookery Course dates which can be booked on www.thegranarykitchen.co.uk. 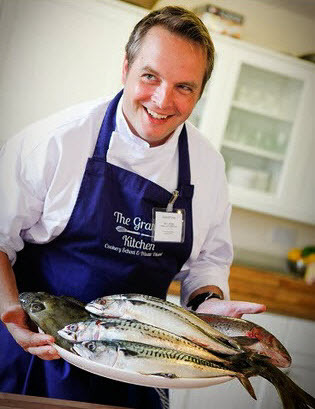 The Granary Kitchen is the brainchild of Christian Rivron who has spent many years working and training in a variety of different establishments including country parks, hotels, and restaurants in Lymington and the surrounding areas along the south coast. 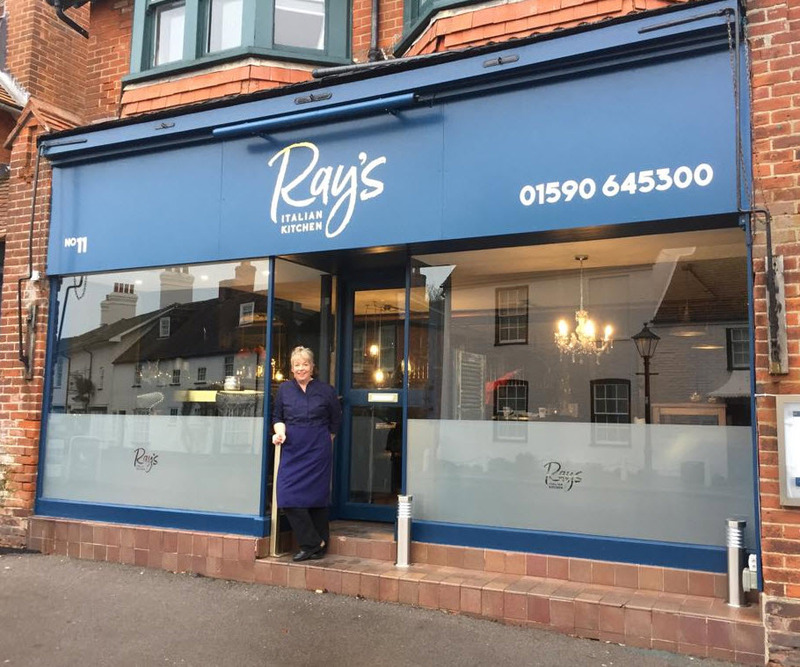 He has gained knowledge and experience of using the fresh, local and seasonal produce available in the New Forest, Hampshire and Dorset. Christian is now excited to share his passion, enthusiasm and creativity, to help people increase their confidence in entertaining guests in the comfort of their own homes. The Granary Kitchen also offer Private Dining & Event Catering, Private Dining events, Private Cookery School, Corporate Team Building and Gift Vouchers, so take a look at the website to see how any of these might suit you. "By popular request No64 Biscuit House decided to open late one night before Christmas, so the pressure's now on us to choose the right night to suit everyone.....gulp! So for those of you finding it tricky to get to us during the day, and with festive family gatherings preventing some of you getting to us on the last 2 weekends before the big day, we're now going to be open until 8pm on Thursday December 20th. We're also going to be open on the last Sunday before Christmas (December 23rd) , between 10am & 4pm, for those last minute gifts you may still have to buy. And don't forget we also do gift vouchers, for any amount to suit you, which can also be redeemed online if you would like to send one to someone afar. 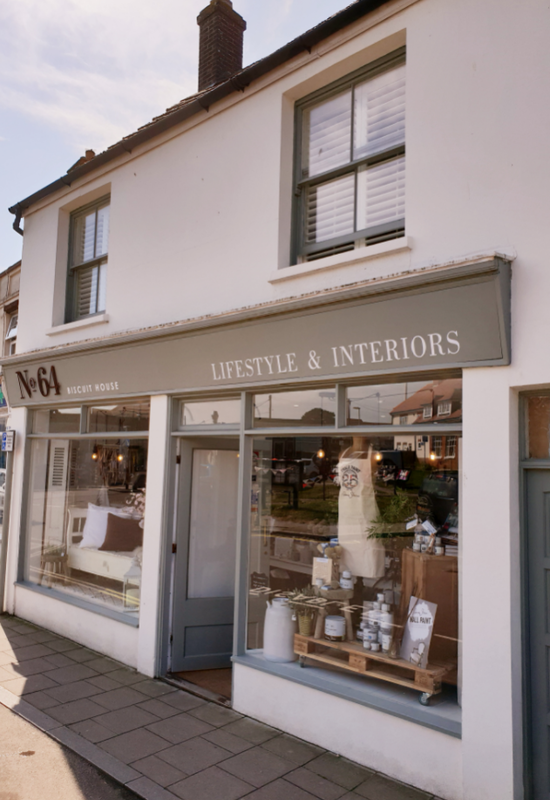 Annie Sloan (paint & accessories) enthusiasts please note: we are closed from 30th December until January 21st and so if you've a project planned for early new year do please stock up with what you need before we close on December 30th. We hope that suits everyone, and of course we hope you all have a very Merry Christmas and an amazing New Year!" 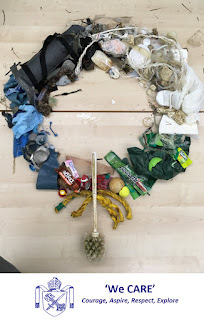 This is where their Y5 and Y6 pupils have been out and about on Milford Beach over the last few weeks and have got into the festive spirit by making ‘litter wreaths’ out of the rubbish they have found. The Beach School participants continue to be amazed by the strange and harmful items that make their way into our oceans and washed up onto our shores. 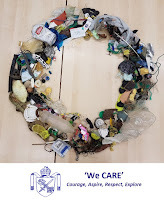 They have also been busy identifying shells and seaweed common to our shores and every child has made a shell necklace to wear themselves or give as a Christmas gift. Kate would like to thank all of School's Volunteers, who have worked with the children this term, whatever the weather! Milford-on-Sea C of E Primary School are always looking for volunteers to help with their Forest and Beach Schools Sessions. PS: The wreath's look great, nice work all! 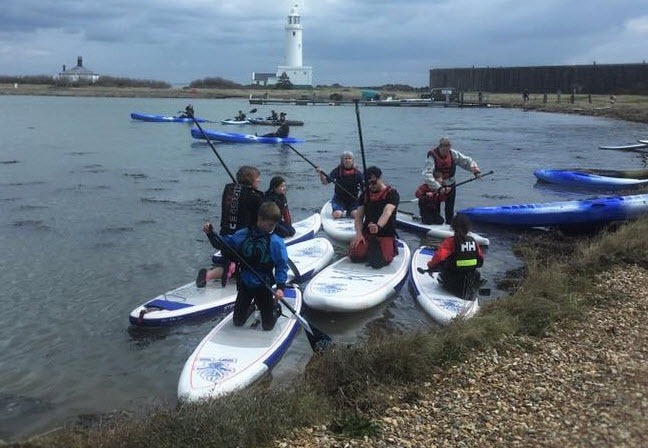 We were pleased to hear that The New Forest Paddle Sport Company in the high street was last night a winner in the New Forest Business Awards. They won the Go New Forest Award for Outstanding Contribution to Visitor Economy. Congratulations to Sean and his team. 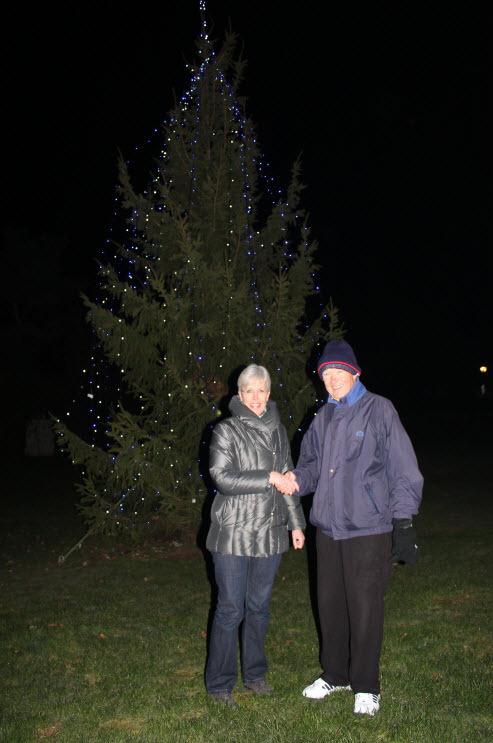 Sue Whitlock, Parish Councillor and Trustee of the Community Centre switched on the lights on the Memory Tree outside the Centre this week. The Memory Tree is aimed to light up the lives of people living with dementia and their families. People can buy bows and baubles in memory of loved ones to raise money for Milford's Dementia Action Group, which funds some of the groups in the village, as well as providing free information sessions about dementia. 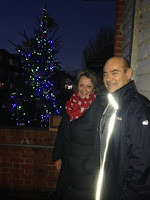 The Group have been overwhelmed by the support of the village during the past year. South Lawn Hotel and Verveine are among the many businesses who have offered support and the U3A and the WI have organised events, said Jenny Whitley, on behalf of the Group. 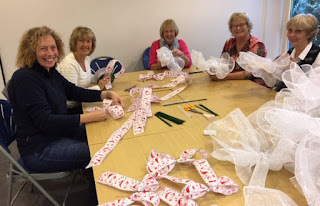 "We are delighted that the WI are running this week's First Friday Lunch for us. 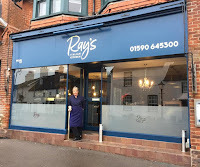 The food will be great and it's raising money for a very worthwhile cause."